Angel Houlby in BBC’s Dancing on the Edge. I was recently obsessed with New York 1926. 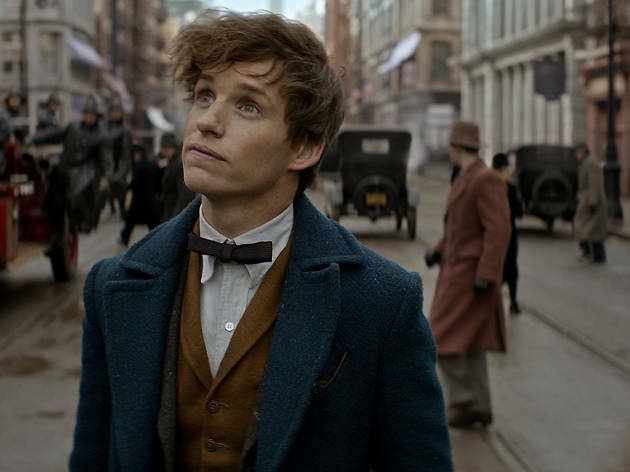 If you think that rings a bell, it might be because it is the setting for 2016’s Jazz Age fantasy, Fantastic Beasts, which I saw, and alone of all Harry Potter things fell in love with. Partly this was because it was about adults facing, sort of, adult problems. But mostly it was because of New York, and 1926. Steams ships and old cars and prohibition bars and detailed clothes and old-fashioned manners. And magic. It was a perfect storm, and when you throw in romance (as one must always do when Eddie Redmayne is playing the diffident lead) then it is impossible to resist. I immediately wrote a what-happened-next fanfic with my own beasts and peril and of course romance. But what I really wanted after seeing the movie, was to read more stories about that era, more peril and magic and romance. And as usual, I could not find much that I liked. It was all either too Romance – thin plot, characters I disliked as soon as I read the blurb – or too 1926 – misery, terrible working conditions, poverty and inequality and depression and miners’ strikes. JK managed to create something which felt authentic but which absolutely wasn’t – something which offered the fantasy view of the past we all crave. LaLaLand tapped into this same yearning for escapism. If you want some in-real-life 1920s glamour, try the St Pancras hotel in London. (Pics below). Beyond fabulous! 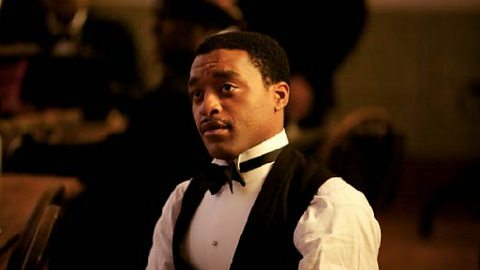 So what are the elements of a successful Jazz age fantasy? I mean, what would satisfy me in a story? Romance. It’s not the point, just a happy side outcome. Fabulous clothes – of course. These might be flapper dresses and pinstripe trousers and spats – or they might be farmboy bags and floral country dresses and a few vestigial Victorian grandmamas. Manners, especially male manners. A comedy of manners is always good. Bertie Wooster was an idiot, but a courteous one. Mystery. This was the golden age of sleuth fiction, still riding the thirty-year wave of the launch of Sherlock Holmes. Mysteries set in posh houses, peopled with the privileged stereotypes of the day, were de rigeur. Staircase, St Pancras Hotel. I’m not on commission, honest. I just love it. Old tech. Phones and gramophones and telegrams and letters written by hand, and typewriters and steam trains. Bakers’ boys and blokes on bikes, and handcarts and horses as well as trams, and the Underground or Le Metropolitain. Old tech! Check out this 1928 footage of New York City. Prejudice which the author can whisk away with a wave of the Poetic Licence wand. Gay people can have happy endings, black people can take centre stage, female people can do interesting jobs, all is good. And of course, if we’re talking fantasy, some element of Magic such as that used in SpeakEasy by Cat Valente or Last Hot Time by John M Ford. Also on the Reddit rec list I found were The House of Shattered Wings by Aliette de Bodard, and the Roaring Twenties series by Jenn Bennett. Here’s the thread itself if you want more. According to some sources, jazz age fantasy is called Dieselpunk, though that doesn’t sound awesome enough to me. I prefer the proposed sub-subgenre of Decopunk. Here are some image examples for Decopunk. Find my bigger list of fantasy subgenres here! The Mummy (1999) rocks that retro vibe, as does Indiana Jones and the Raiders of the Lost Ark. In a similar vein is the recent Tutankhamun drama with Sam Neill – leaning more to archaeology in the 1920s than urban life, but still awesome. Of course there is The Great Gatsby. 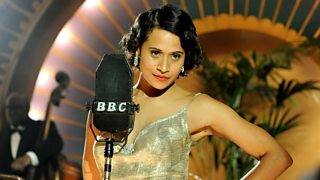 Dancing on the Edge – a fabulous Stephen Poliakoff BBC series about a black jazz band and the outbreak of World War 2. I cannot fail to mention the later series of Downton Abbey. but might also be the Fifties. Or the Twenties. If you’ve never watched the excellent dramatisation with Hugh Laurie and Stephen Fry, then do! The Peter Wimsey books of Dorothy L Sayers. And then there were none – BBC’s Agatha Christie adaptation. New entry: the 2017 movie, Murder on the Orient Express. Fabulousness. And unfortunately quite a bit of nastiness. But hey – fabulousness! 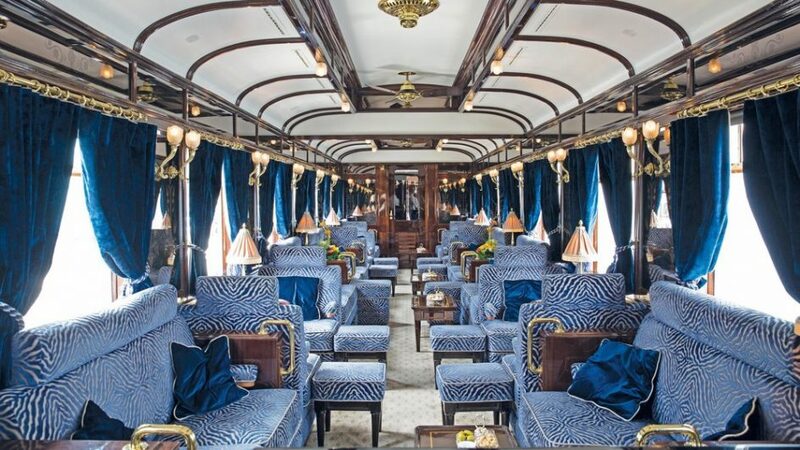 You can even experience it (fabulousness, not murder) for yourself on the real Orient Express. something is wrong! I may also have to wangle a visit to this amazing hotel next time I am in London. It will make a change from just walking past it. I’ll start saving now and eventually I will be able to afford a gin and tonic there. Until then here’s one last gorgeous picture. Just think of the fun you could have pursuing romance, or the terror you would know, fleeing evil, on these staircases. This article was originally published as part of the A-Z April 2017 challenge. Extensively updated April 2018.